I started doing some mushroom prints again this week, and I think it is time they became properly a part of my finished work, instead of just something I play with. I was thinking before that I had to turn them ‘into’ something, but with the way that I am working at the moment, maybe I don’t have to. They can be presented just as they are, a visual record of a natural phenomena. Plus they are circles! (more or less). This one is particularly beautiful with it’s soft swirls. Must be very small spores indeed. These recent prints have a particularly strong contrast between the fluid outer shape and the more sharply defined black hole in the centre which shows where the cut stem of the mushroom was. They reminded me of satalite images of arctic sea ice. There is always a black circle over the pole because the satellites orbit around but don’t actually cross the pole. A blind spot in the data. The sea ice image is updated every few days, along with other similar images and graphs on a site called Cryosphere Today. Have a look if you have an interest in what’s happening in the earths polar regions. I look at it every fey days, but some would call me obsessive. I recently found a huge, almost diner plate sized mushroom. It was finally time to try something I’ve been thinking about for a while – since doing a lot of mushroom prints last year. Using a simple paper cut stencil between the mushroom and the art paper underneath, then this striking image was created. The figure is a little over six inches high and positioned on a large sheet of paper. No pigments or traditional art materials are used – the image is made up entirely of mushroom spores. I mentioned earlier that I’ve been doing some mushroom prints. 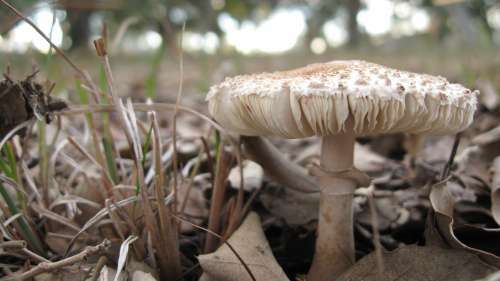 They are easy to do – just pick a mushroom, cut the stem off and place the cap on a piece of paper gills side down. Cover the mushroom with a glass or bowl – this keeps the air inside humid and also reduces air movement. Leave it for 6-12 hours and the spores will drop from the mushroom and form markings on the paper that match the pattern of gills. These patterns and the colour of the spores vary – some look best on light paper while others have white spores that look best on black paper. These attributes of the print can in fact be used as an aid to identifying the species of mushroom. More info here. this is one of several I did yesterday, quite small at only a few centimeters across but the detail is exquisite. Not sure what artistic purpose I’ll put these to yet – maybe a little book. I first heard of mushroom prints through the work of British artist Chris Drury. 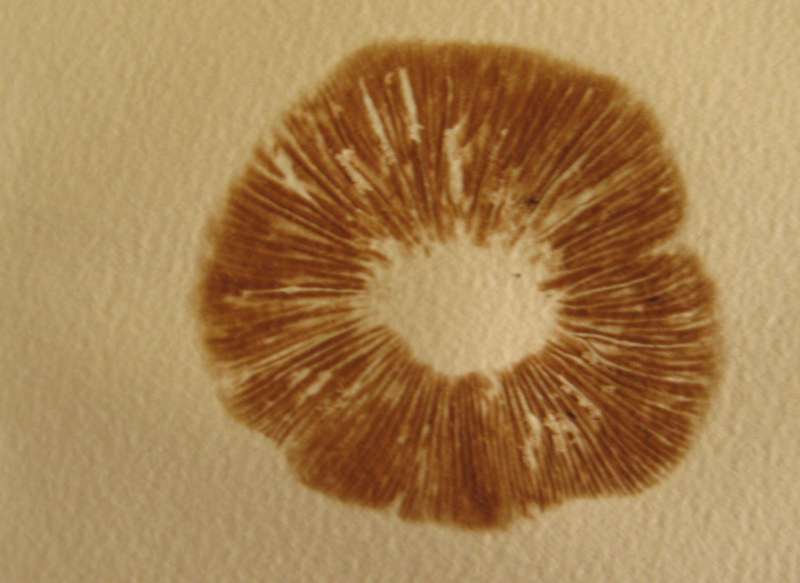 He has used mushroom prints occasionally in his works on paper, though he mostly makes site specific works in the environment. Well worth taking a look. Here is the first pic of the day – they probably wont come every day, but hopefully a few a week at least – and then I’m sure some days I’ll squeeze in more that one too. Went looking in the cork oak plantation for some mushrooms – and found this little chap. Going to do some mushroom prints, more on that later.